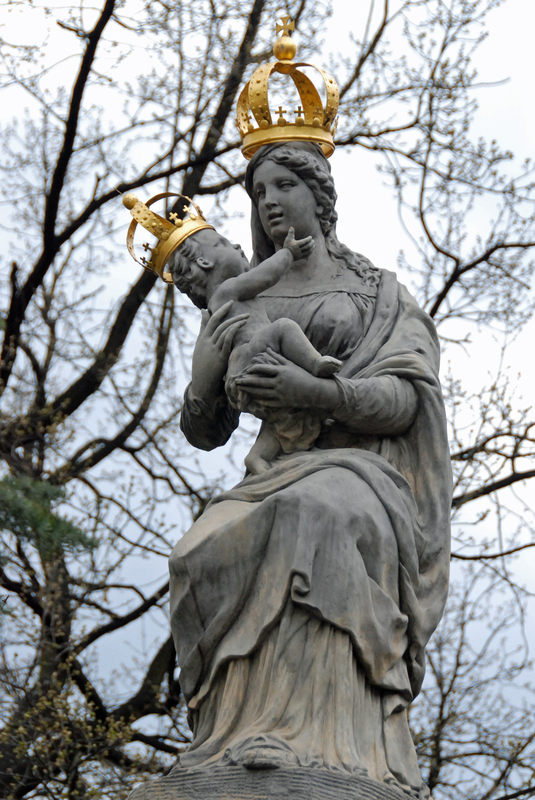 Advent reflection: Prayers and worship to Mary? Mary, an ordinary teenage girl of Nazareth in Galilee, was betrothed to Joseph and God chose her to be conceived by the Holy Spirit to give birth to Jesus Christ, has been venerated and prayed to for centuries. However, today, I would like you to consider if Mary is worthy of our worship, veneration, and prayers. I think this is needed because there are millions of sincere followers of Christ who have fallen prey to the unbiblical practice devised and propagated by the Roman Catholic Church from its inception. Just because it’s believed and practiced by millions of people for thousands of years doesn’t make it right or scriptural. There is very little that we know about Mary from the Bible. We don’t even know who her parents were even though the Roman Catholic tradition has come up even with the names of her parents and venerates them as saints. Whoever her parents were, this is certain that they were a godly couple. They raised Mary with a virtuous character and taught her to fear God and to walk humbly before him. They taught her to obey God and to submit her life for his perfect will. That’s why when the angel Gabriel appeared to Mary with the baffling good news of her conception through the Holy Spirit, she calmly accepted and said yes to God. In doing so, Mary also said yes to the consequences of saying yes to God in one’s life. We all know what it meant for an engaged teenage girl to get pregnant before the consummation of her marriage in the Jewish society in the first century. Therefore, Mary deserves our honor and respect. She serves as the best model for teenagers, women, and mothers in today’s society. Mary certainly needs to be followed as an example in her virtuous and righteousness by every follower of Jesus Christ. However, despite all the above and contrary to what the Roman Catholic Church’s highly developed cult around the “Blessed Mary”, the “Virgin Mary”, or the “Mother of God”, there is no theological or scriptural basis for us to worship Mary in any way. Mary was not divine and neither was she a perpetual virgin. She continued an ordinary life as Joseph’s wife after the birth of Jesus Christ. Mary undeniably needs be honored above all saints and holy fathers, but she’s not worthy of our worship. Worship and adoration is due only to the living, eternal, and triune God. Any kind of worship to any person or thing other than the triune God, revealed to us in the scriptures, is an unacceptable idolization. It’s impossible to worship God and anyone else at the same time. Jesus Christ said, “It is written, ‘Worship the Lord your God, and serve only him’” (Luke 4: 8 NRSV). Further, Jesus said, “But the hour is coming, and is now here, when the true worshipers will worship the Father in spirit and truth, for the Father seeks such as these to worship him” (John 4: 23 NRSV). Since Mary is neither divine nor worthy of our worship, she’s also not the one we should pray to. Nowhere in the New Testament does Jesus teach us to petition her for anything or to direct our prayers to his mother. In fact, Jesus said, “For whoever does the will of my Father in heaven is my brother and sister and mother” (Matthew 12:50 NRSV). Just like our worship, our prayers and petitions must be directed to God the Father alone in the name of Jesus Christ, his son (see, Matthew 6: 6-7; 6: 9-13; Luke 11:2-12; Philippians 4: 6-7). We thank God for Mary, but we bow down before God the Father of our Lord Jesus Christ! This entry was tagged Advent, Advent devotionals, Advent Devotionals 2014, Blessed Mary, Mariology, Mary, Virgin Mary. Bookmark the permalink.